Robin Claunch’s family is having a memorial service for her father on Saturday October 17th at 11:00 at the Episcopal Church in American Falls. There will be a luncheon following the services. If anyone would like to help out with providing food for the luncheon, they are serving chili and soup. Side dishes and desserts are the most needed food items. If you desire to provide food and will not be attending the services, your food items can be left at the school Friday afternoon and will be picked up and taken to American Falls Saturday Morning. Food can also be taken to Michele Hayden, Debbie Curry, or Cheri Evans. George Willard Bradley passed away Friday morning, July 12, 2013 at his lifelong home in Arbon. He had been ill for several months. He was 86 years old. He was born June 25, 1927 in Pocatello, Idaho to George W. Bradley and Ella Miller Bradley. He was preceded in death by his parents and his only sister, Ruth Bradley Breseke of San Jose, CA. He is survived by his wife, Rene’ Gibbons Bradley, 3 sons, Kevin, Bruce, and Willard, 1 step son, J.C. Smith, 3 step daughters, Debbie, Dawn Ann, and Kay, 10 grandchildren and 4 great grandchildren. Services will be held at the Arbon Branch LDS Church, Wed. July 17, 2013 at 12:00, Pastor Steve Millermon of the Marsh Valley Bible Church officiating. You may visit with the family from 10:30 til 11:30 on Wednesday at the church. If you are planning to attend the funeral you are invited to stay for the meal, please bring a salad or dessert. Phone calls and visits to all family members are welcome. Christine Kemp Wright, 61, returned to her Heavenly Father on November 15, 2011 after complications due to injuries sustained in a horse riding accident. She was the second of three children of Dale and Elaine Kemp and was born on December 8, 1949. She later moved to Ogden, Utah where she graduated from Bonneville High School and later Weber State College. She married Kenny Hansen in the Salt Lake Temple in 1970, and taught school at Davis High for four years. They then moved to Caldwell, Idaho, and in 1982 returned to Logan, Utah. She stayed home and raised four children, Stacie, Robert, Sabrena and Danny. She later earned a M.Ed in Special Education from Utah State University. In 1985, she was divorced and returned to teaching at North Cache 8-9 Center in Richmond, Utah. She married Blair Beckstead and moved to Richmond. They divorced in 1991, but she continued to live in Richmond and teach at North Cache. In 1995, she was diagnosed with adenoid cystic cancer which she continued to battle until the end of her life. In 1998, she married Gregory Wright, who remained her devoted companion throughout her illness. 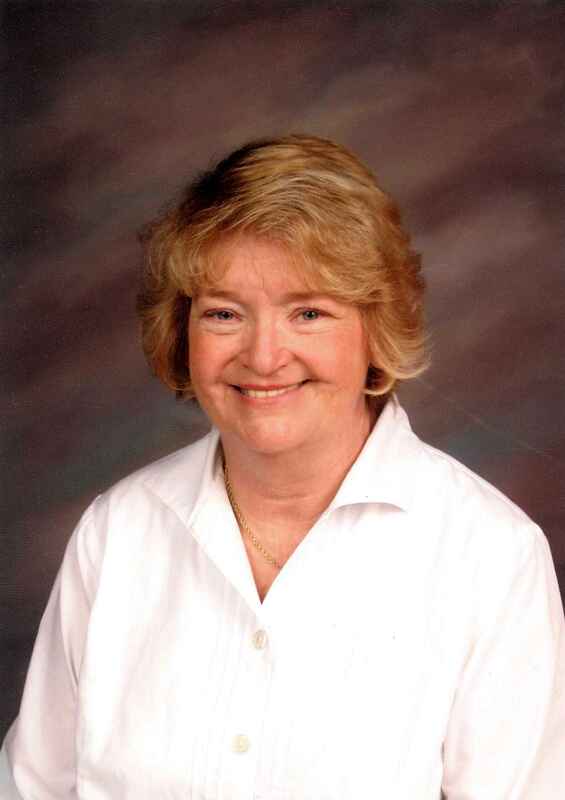 As she battled cancer, she continued to teach at North Cache until 2007. Since then she has split her time between their farm in Arbon, Idaho and her mother’s home in Ogden, Utah. Christine was a devoted wife and mother. Nothing in her life was more valuable to her than the love of her family. Her children and grandchildren will miss her cheerful smile, and loving disposition. Although struggling with her own health challenges, she was a conscientious companion and caregiver for her mother after her father died. She enjoyed serving others and always looked for someone to help in spite of her own challenges. She loved teaching, and enjoyed sharing her patriotism, and love of our country with her 8th grade history students. All that knew her were touched by her courage and perseverance in the face of adversity. She is preceded in death by her father Dale Desmond Kemp, and second husband, Blair Beckstead. She is survived by her husband Gregory M. Wright, her four children Stacie (Grant) Stewart, Robert (Rachel) Hansen, Sabrena (Austin) Banford and Danny (Jamie) Hansen, her step-daughter Briana Wright, her mother, Elaine Kemp, her brother Gregory (Arlynn) Kemp, sister Julie (Norman) Barnes and eleven grandchildren. Funeral services will be held at 2 pm, Saturday, November 19, 2011 at the Arbon Church of Jesus Christ of Latter-Day Saints 1353 Church Road, Arbon Valley, Idaho, 83212. Family will receive friends one hour prior to services at the church. Burial will follow the service at Mountain View Cemetery, Pocatello, Idaho. Condolences may be made, or directions to the services are available at www.colonial-funeralhome.com. at the Arbon LDS Church. A viewing is from 1:00 – 2:00 at the same place.